Sen. Kevin Daley is a fifth-generation Lapeer County farmer with traditional family values and is a lifetime resident of the 31st Senate District. Daley began his career in politics as a member of the Arcadia Township planning commission. He went on to pursue the positions of trustee, treasurer, and eventually, township supervisor. He was first elected to the Michigan House of Representatives in 2009 and represented the 82nd District until 2014, when term limits prevented him from seeking another term. As one of the few farmers in the House, he was the chairman of the House Agriculture Committee. In 2018, he was elected to represent the 31st state Senate District, which includes Bay, Lapeer and Tuscola counties. 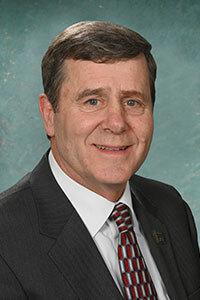 Daley currently serves as chair of the Senate Committee on Agriculture. Daley is very active in the community and is a member of many organizations. His membership includes the National Rifle Association, Right to Life of Michigan, Sunrise Lapeer Kiwanis Club, Lapeer County Farm Bureau, among others. He has served on the Lapeer County Farm Bureau Board of Directors, Lapeer County Ag. Preservation Board, and is the former president of the Tri-County Michigan Milk Producers Association. Daley is also active in Habitat for Humanity for Lapeer and Tuscola counties. Daley lives in Lapeer County, with his wife Debbie, who he has been married to for 40 years. The two of them have three children and six grandchildren. Senator Daley can be contacted by clicking here.